Peterson developed and abides by the RCAS tagline, which promotes “ensuring a successful tomorrow through extraordinary moments today.” She and her team feel a responsibility to not only monitor food safety, but to deliver a complete dining experience. In 2017, RCAS sought to blast through school lunch stereotypes by redefining its brand. They had several ideas for improvement but weren’t sure where to begin. Which ideas were viable, which were impractical, and how should they prioritize? Most importantly, what was missing? RCAS knew they needed a fresh pair of eyes. With the expert guidance of Pro•Team Foodservice Advisors, RCAS evaluated its staffing, menus, delivery systems, and marketing. Here’s what they discovered through Pro•Team’s “Fresh Eyes” review. 1. BRANDING. “We have 23 schools and I did not want 23 separate silos,” explains Peterson. “I wanted a global service.” That meant creating a cohesive dining experience for students, from kindergarten all the way up to the 12th grade. 2. CHANGE AVERSION. Some staff were concerned about the loss of school identity. If dining services didn’t feature their mascot and colors, for example, wouldn’t this undermine the school’s unique attributes? 3. SATELLITE SCHOOLS. Because RCAS has 15 sites without kitchens, two high schools shared the responsibility of food preparation. While this worked well for food distribution, there were concerns about the consistency of the food product going out. 4. SUMMERTIME. Students benefited from the RCAS feeding program if they lived close to the sites. For those who lived faraway, however, food access remained an issue. 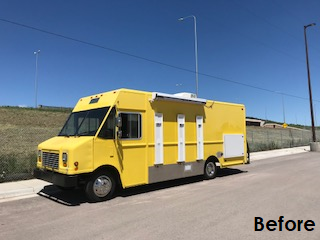 RCAS considered food trucks as a possible solution. 1. ENDORSEMENT. Peterson needed data to substantiate change. Because she had the backing of Pro•Team (and a comprehensive report, to boot), she was able to write a five-year strategic plan. Her plan subsequently convinced stakeholders to reform the RCAS student nutrition program. 2. MARKETING NUDGE. 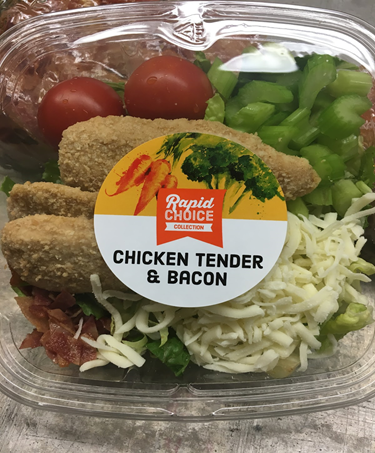 With the expert advice of Pro•Team, RCAS branded its “Fresh Choice Café,” which carries its own logo, signage, and signature offerings. Now students can recognize the brand and associate it with consistency. 3. CONSOLIDATE AND AUTOMATE. Pro•Team advised consolidating meal preparation to one school and purchasing a machine to overwrap meals (which had previously been done by hand). As a result, one school was freed up to focus on signature line items, and greater efficiency and food consistency were achieved. 5. SUCCESSION. Pro•Team envisioned five years---and beyond. They suggested a succession plan, which would leave the program in good hands after Peterson’s departure. Peterson has since hired an assistant manager. Have you heard about the Fresh Eyes Experience? Close your eyes for a minute and imagine walking into your children’s school cafeteria or your workplace cafeteria. What picture forms in your mind? How inviting is the space? Now consider sharing this “picture” with someone that hasn’t been to your cafeteria… What messages are shared with this picture?